All animals come together to put on a parade in this cheery arranging game. The animals can be puzzled any which way into the frame or can be color coordinated. 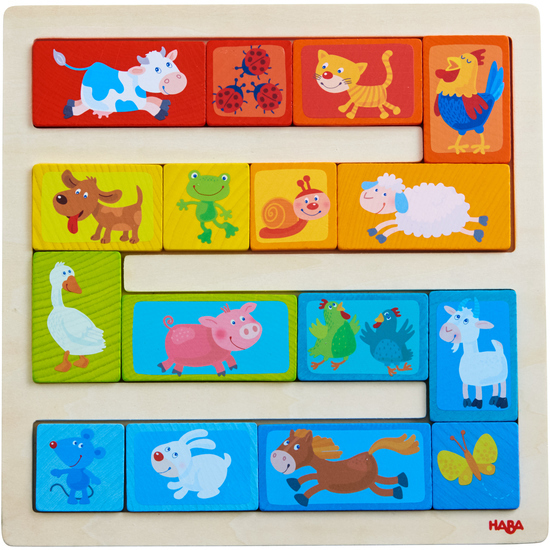 Who can combine the large and small arranging tiles so that all animals fit in the frame? Contents: 1 frame, 16 arranging tiles.